While biometrics has been around for a number of years now, until recently it has remained largely in the realm of physical access control. 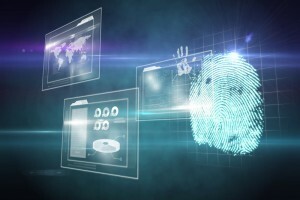 But recently, biometrics has begun to unify physical access control with logical access control. This has had profound effects for end users, and has the potential to strengthen a facility’s security system as a whole in a number of ways. Not only that, but the merger of physical and logical access control essential creates a fourth authentication criteria, making access control that much stronger. Learn more about the unification of physical and logical access control with biometrics, below. The convergence of physical and logical access control with biometrics is creating stronger security systems. Creating the 4th identification criteria. Providing information that they know, such as a password or PIN number. Providing a physical security device they have, such as a proximity card. Proving who they are with a biometric identification device such as a fingerprint reader. The more of these criteria that can be satisfied, the more secure the system will be. Unification creates a 4th criteria. With the unification of physical and logical access control, a 4th identification criteria has been created. The location of the person. While the person’s location could always be identified, the technology did not exist to identify a person solely based on the location from which they were requesting access. But now, with the convergence of physical and logical access, location can be used as an identification factor. This adds yet another layer of security, making facilities more secure and strengthening access control systems. There are a number of other benefits of this convergence for facility security. Using the same credentials for physical and logical access. Simplifies assigning security credentials to new employees. This entry was posted on Thursday, August 27th, 2015 at 1:02 pm. Both comments and pings are currently closed.